Protests will take place at 5.30pm today. 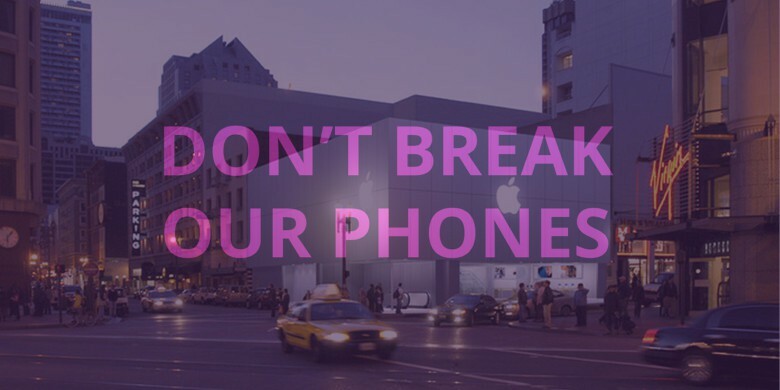 Grassroots protests against the government’s attempts to hack the iPhone are set to take place today in nearly 50 cities around the United States, beginning at 5.30pm local time. “This case is about much more than this phone for three reasons,” Wilson continues. “First, if Apple grants this, the FBI will come asking again, perhaps for even more intrusive modifications — like a software update that provides access to the phone’s microphone or camera, for example. Second, [the iPhone at the center of the current investigation] is technically identical to every other phone of the same model, so whatever Apple does to weaken security on this phone weakens it for hundreds of millions of other Apple customers, as soon as the approach is leaked or discovered. Rallies are set to take place at Apple Stores today in the below locations. Visit the Fight for the Future website for more information about what steps you can take to show your support. You can also read more about the protest in question — which promises to be one of the biggest tech stories of 2016 — courtesy of our handy FAQ page here.